We are thrilled to announce the winner and two runners up in the first Carmel Bird Digital Literary Award. The overall winner of the 2018 Carmel Bird Digital Literary Award is Beth Spencer for her short story collection, The Age of Fibs. Beth Spencer receives $3,000 in prize money. Judged by renowned Australian author Carmel Bird, the award offered cash prizes and digital publication by Australian publisher, Spineless Wonders to the overall winner as well as two finalists. The 2018 Carmel Bird Digital Literary Award finalists are Ashley Kalagian Blunt for My Name Is Revenge (A novella and reflective essay) and William Lane for Small Forest Nine Short Stories. Both finalists receive $1,000 in prize money. Carmel Bird was very impressed by the high standard of the three finalists’ submissions. In her judge’s comments, she described The Age of Fibs by Beth Spencer as “an exciting collection that combines compelling and moving text with strong storytelling, memoir and non-fiction as well as fiction”. Ms Bird described Ashley Kalagian Blunt’s novella and essay as “a remarkable work informed by a passion to express the haunting of almost unimaginable historical crimes, and the tragic shapes that vengeance for those crimes can take”. Of William Lane’s collection, she observed that “the ‘small forest’ of the collection’s title provides an eloquent metaphor that invites the reader to move through the stories in search of revelation and understanding, as well as pleasure in the reading”. Launched at the State Library Victoria in December 2017, The Carmel Bird Digital Literary Award is an annual competition which showcases new works of short fiction up to 30,000 words in length from Australian writers. Over 130 submissions were received for this year’s competition including short story collections as well as novellas, many of which included digital narratives with multimedia elements. Eleven submissions longlisted in the 2018 Carmel Bird Digital Literary Award are currently being showcased by State Library Victoria via the online platform, Tablo. Visitors to Library’s Tablo page are invited to read and respond to an extract from each submission. 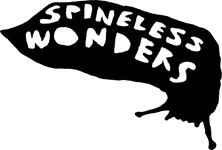 The Carmel Bird Digital Literary Award is hosted by short fiction publisher Spineless Wonders and is supported by the Copyright Agency’s Cultural Fund. Entries for the 2019 Carmel Bird Digital Literary Award will open shortly. Sign up for email alerts for details.